The Topps Holiday 2017 set of 200 cards is now part of the Baseball Card Cyber Museum. 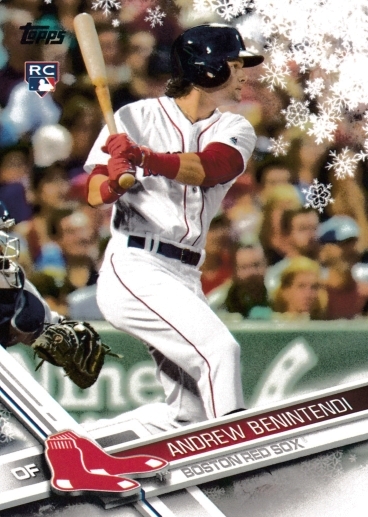 2017 Topps Holiday, a WalMart exclusive, features cards on a limited, seasonal design (snowflakes). The set features 200 players including Mike Trout, Matt Kemp, Kris Bryant, Bryce Harper and more. 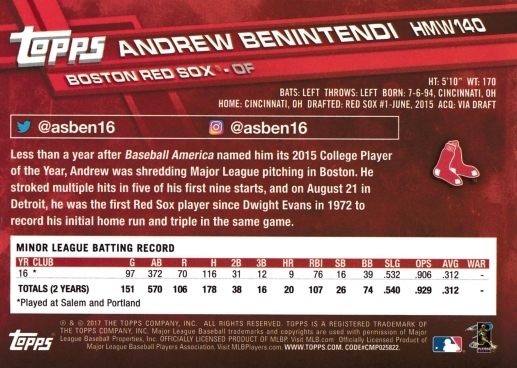 There are also rookie cards of the Pirates’ Josh Bell, Los Angeles Dodgers’ Andrew Toles, Boston Red Sox’ Andrew Benintendi and more.